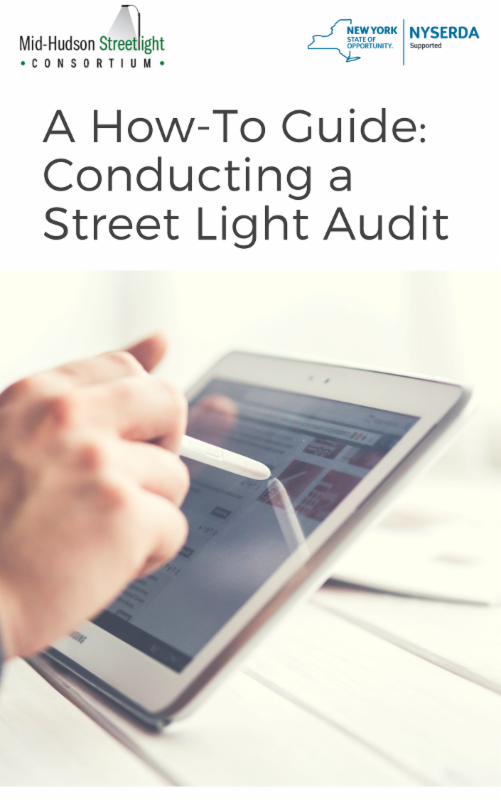 Conducting a third-party billing audit and a field inventory of your community’s street lights are two key first steps toward converting to LEDs. Often, the utility’s inventory of street lights is inaccurate. The lights no longer exist or wattages in the field do not match inventory. Billing audits verify currently installed equipment and often result in utility refunds for past overcharges and/or support evaluations of appropriate replacement equipment. The money saved can help reduce LED conversion project costs. A field inventory of a municipality’s street lights allows you to design optimal placement of new LEDs, taking into consideration location conditions, e.g. residential vs. commercial and areas of high pedestrian/vehicle conflict, etc. Contact a company that conducts third-party billing audits such as Computel or Troy & Banks. Step 1: Request inventory from utility. Step 2: Brief volunteer/staff on inventory specifics. Step 3: Host training for field auditors on equipment, data collection, and reporting. Step 4: Begin audits; analyze with MHSC template.